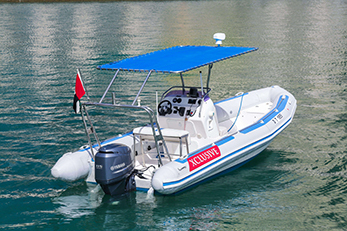 This two day course provides all you need to know for self-sufficient power boating at a basic level. The ratio of students to instructor will be a maximum of 3:1. You do not need any experience for this course, but it may be preceded by Power Boat Level 1. This course covers launching, mooring, anchoring and includes close quarters handling, high speed manoeuvres, man overboard recovery and collision regulations. The minimum age for this course is 12. 12 to 16 years old. Below is a list of the topics for study and practice involved in this course.